2P START! Live! 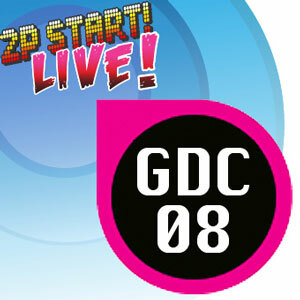 : GDC08 Special Edition | 2P START! In this special edition of 2P START! Live!, Tim and Ray discuss the highlights of GDC ’08. Also, Trivia for You is back after a week off and the dreaded Black Doom Award makes an appearance as well. Let this tide you over until our next comic on Wednesday! Well now I know what GDC means . XNA=Xbox……NA? Crap! I had quirky remark but lost it. Am really tired right now, and at work . Galaxy music not helping drowsiness. Pay-per-play, hopefully makes Wii more like xbox live, then would be worth it. I advertise 2pstart on my Gaia page . End credits music was exactly what I needed, helped wake me up. Or maybe it was the two cups of coffee I just had. Oh well, I can make it through the rest of the day now . Oh no! Random honking sound is spoiled as a playable Brawl character! Somebody needs to post pics of 2pStart shirt. I did recognize the tune for this week, but I really can’t figure out what game it’s actually from… >_< Super Paper Mario…? From Wikipedia, “Microsoft XNA (“XNA’s Not Acronymed”) is a set of tools…” So my guess it that it’s just flat-out “ex-en-a”. I don’t like paying to play my games online… But if it gets rid of Friend Codes, I’m all for it along with the hopes of Downloadable Content. XNA is a recursive acronym meaning XNA is Not an Acronym. This is very similar to all the old unixish ones such as GNU is GNU is Not Unix. I defiantly Know I know this chime! I just can’t place my finger on exactly where the chime is from. I know it is a boss fight from one of the more recent Super Mario Games. I think it’s from Mario Galaxy during a first level of boss fight (as you beat up the boss, the level increases and the music gets more intense). @andrew: sorry , busy weekend. I had the pictures on my iphone and planned on posting them from my friends house on the weekend, but everything on my iPhone got erased during tinkering, so I have to take them again. I’ll try and post today or tomorrow, hopefully today if I can finish my taxes :XD . I’m sick again, runny nose/sneezing . Well anyway, what everyone(mostly andrew) has been waiting for: 1 2 3 , the pictures are okay quality, took them on my iphone in my room(which has really bad lighting). 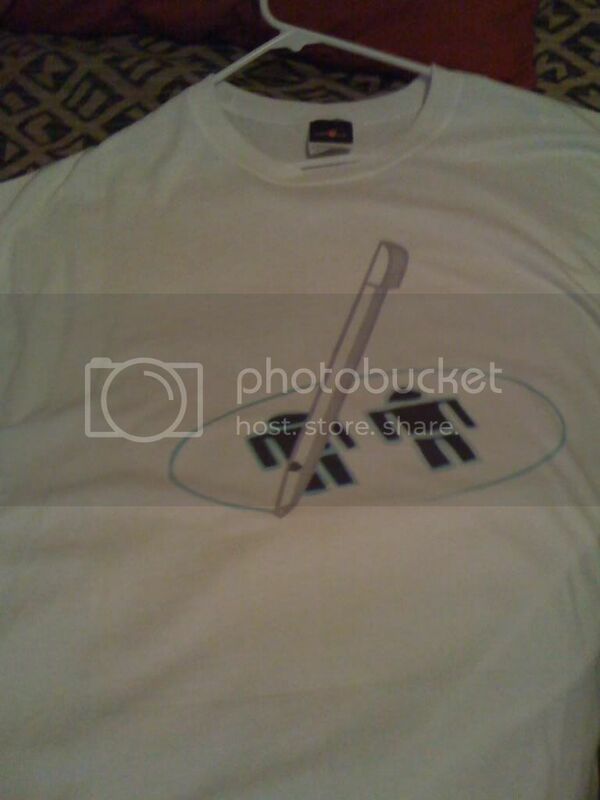 I’m really happy with the shirt, great material. That music is from Super Mario Galaxy when you fight Kamella. @Tustin: That’s exactly what I was going for. I was just going to guess Wind Waker for the music because I love that game, but then I realized I actually recognized it… is it really Galaxy? That seems right. I know a lot of (if not all) the background music was from Galaxy. Cool cool. Yeah, you can’t really expect people to get the joke with the Gears Trailer. The people who hate it aren’t going to know it was done on purpose to be crappy, and the people who like it are stupid. Yeah, guess you should have put something more descriptive in the description… Oh well. Ugh, meant to edit that last sentence, but hit submit instead… now I’ll double post to explain it. I was searching all over the internet for the answer. I KNEW it was Mario Galaxy, but I was looking on youtube at all the boss battles, just to check myself. DAMNIT! I wanted to reveal it! There is a reason I like games and not movies. That guy in that game developers rant hit it on the head.